Earlier this month, I spent two weeks in the Netherlands for an astronomy conference and some family matters. May is an excellent month for bird watching because of spring migration, where birds of many species leave their wintering grounds in Africa or southern Europe and head towards their breeding territories in northern Europe. This was my first trip back home during spring migration since I took up birding as a hobby, so I was very excited about the possibilities of finding a lot of new birds. The first bird I saw upon entering the Netherlands was a Eurasian jackdaw (kauw in Dutch) at Amsterdam Schiphol Airport. Two weeks later, the 82nd and last species was a Eurasian marsh harrier (bruine kiekendief) at the Waverhoek Nature Area near the village of Waverveen. That harrier was one of 26 birds spotted for the first time in my life, boosting my worldwide life list from 318 to 344 species. The full list of 82 species included two birds that are considered rare in the Netherlands: black-winged stilt (steltkluut) and glossy ibis (zwarte ibis). 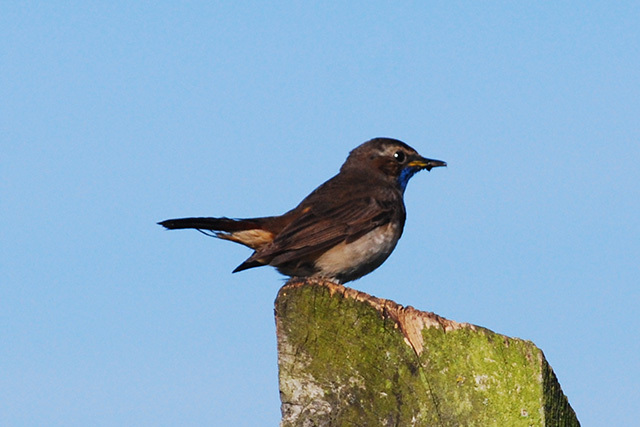 Both normally live around the Mediterranean, but a few stray to more northern latitudes each year. My brother and I found two individuals of each species on a rainy and windy afternoon at the new Ruygeborg Nature Area in the town of Nieuwkoop. For the most part I was too busy looking through my binoculars, so I didn’t take many pictures. Nonetheless, here are a few decent shots. The full album is over at Picasa. Bluethroat (blauwborst) — De Groene Jonker, Zevenhoven. 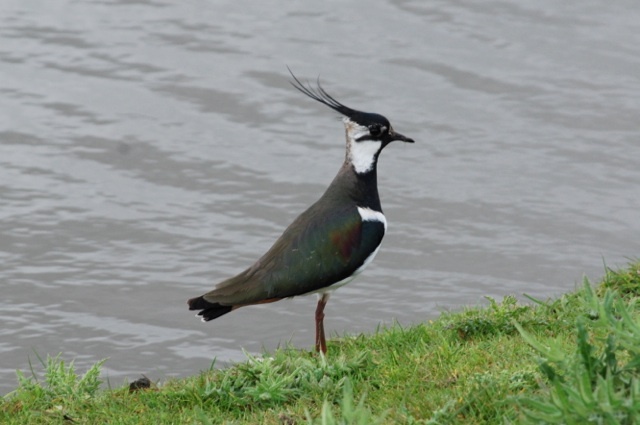 Northern lapwing (kievit) — Veerpolder, Warmond. 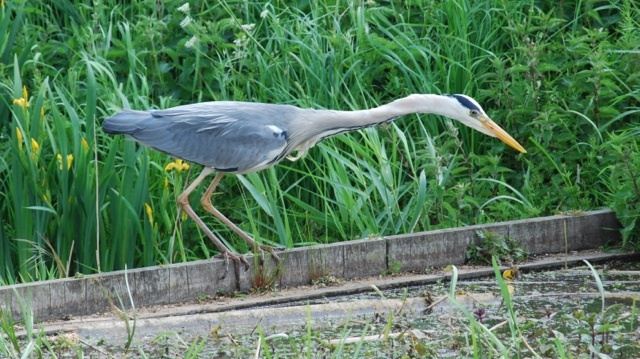 Gray heron (blauwe reiger) — Veerpolder, Warmond. 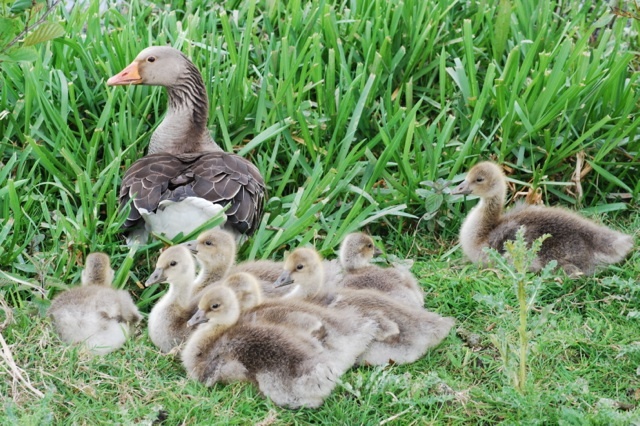 Graylag geese (grauwe ganzen) — Veerpolder, Warmond. 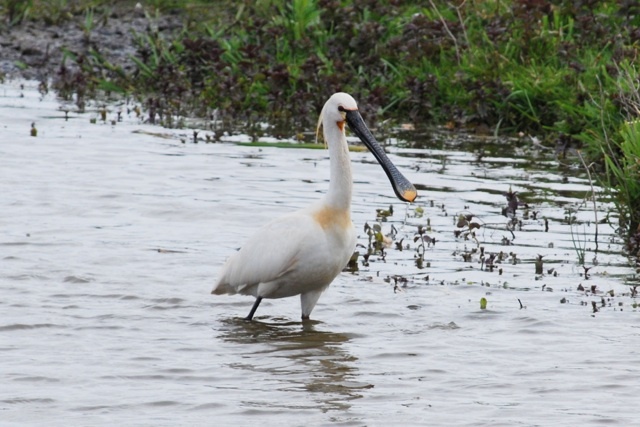 Eurasian spoonbill (lepelaar) — Veerpolder, Warmond.